Cyclone Gaja crossed the Tamil Nadu coast between Nagapattinam and Vedaranyam on November 16. It claimed 63 lives and left behind a trail of destruction. 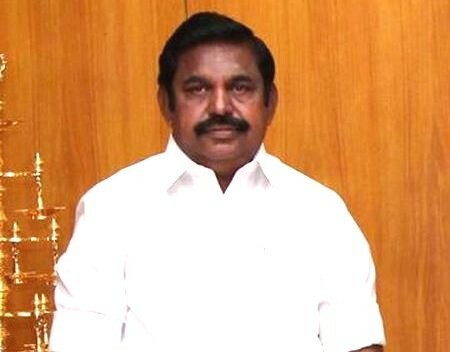 Tamil Nadu Chief Minister E Palaniswami on Wednesday visited Nagapattinam district, which was ravaged by Cyclone Gaja, and distributed relief materials to the victims. Accompanied by his deputy, O Panneerselvam, ministers and officials, Palaniswami visited a relief camp in Vailankanni area and interacted with the affected people. The chief minister assured the victims of all possible assistance. Palaniswami also inspected the repair work of the damaged TNEB sub-station in Kameswaram village. Earlier, he held a meeting with District Collector C Sureshkumar and other officials to review the relief and rehabilitation works. He distributed relief material, including rice, to over 400 cyclone victims. Palaniswami's visit was originally scheduled for last week, but his chopper could not land due to inclement weather.